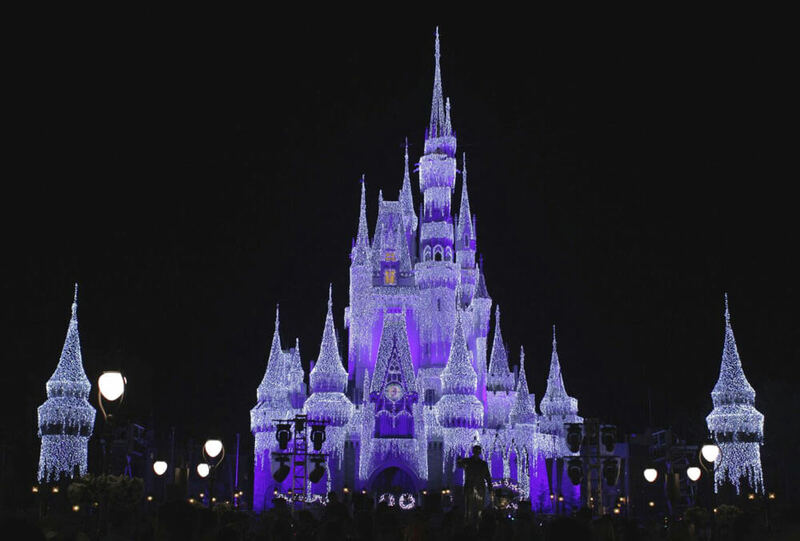 New Year’s Eve is historically one of the absolute busiest times at Walt Disney World. 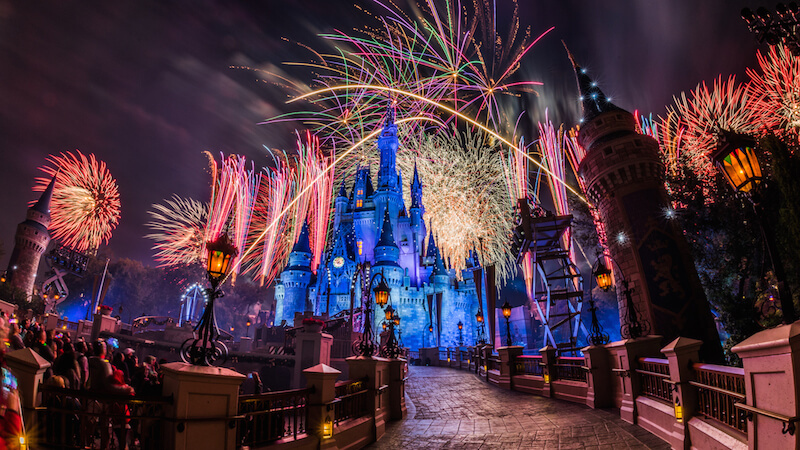 Don’t be scared away by the chaos ... there is plenty of fun to enjoy during New Year's Eve at Disney World. 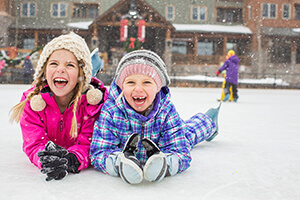 Anything from dance parties in the parks to entire parties packed with food, entertainment and more will have your family blown away with fun celebrations. No matter where you go, you’re sure to have a hoppin’ good time as you count down to 2019! Here’s a Park-by-Park Rundown of New Year’s Eve at Disney World Activities ... Plus Tips! Below, we’ve broken down the huge assortment of dining, parties and other activities available to ring in the new year with style at Walt Disney World. Weigh your options based on location and find out which is the best fit for your frog squad to celebrate New Year’s Eve at Disney World. Epcot is by far the most exciting place to be on New Year’s Eve at Disney World. With lots of activities, comes lots of people. But as one of the largest parks, Epcot is perhaps best suited for them. Plus we think the crowds are worth fighting through for these fun-filled festivities. 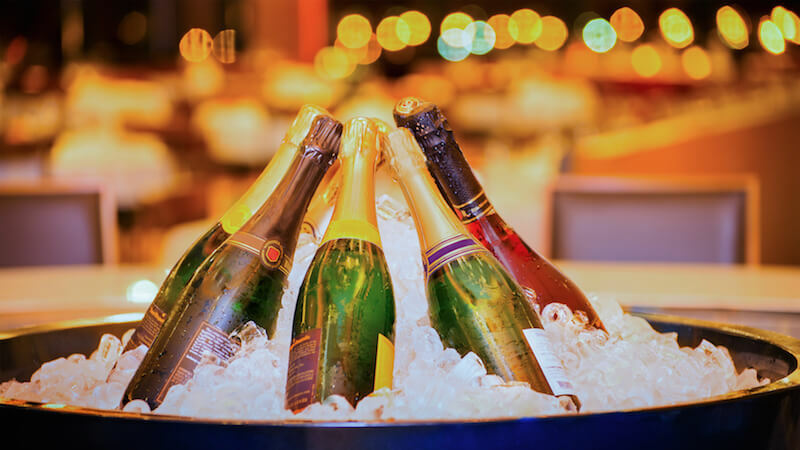 There’s no need to choose ... you can take part in all of these activities for a complete night of celebration. Walk from Mexico to Canada, and from the old year to the new, with Epcot’s New Year’s Eve parties. DJs will get you into the groove at the American Garden and Future World Fountain stages. Dance the night away as you sip and savor some of your favorite flavors around World Showcase. These parties are a nice way to add some special fun to your holiday evening between your adventures on Test Track, Soarin’ and more. The Countdown Fireworks show at Epcot is the most popular way guests celebrate New Year's Eve at Disney World. A countdown to the New Year is projected onto Spaceship Earth as fireworks light up the sky. This unforgettable celebration starts at 11:40 p.m. Dec. 31. 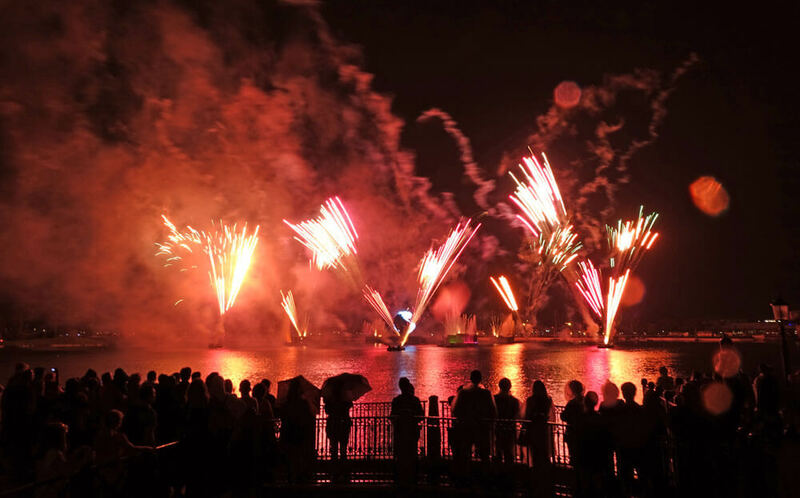 In the past, IllumiNations has also been shown twice on New Year’s Eve: the first showing with the Christmas finale, and the second showing with the New Year’s Eve finale. We love the Christmas version of Illuminations, but the New Year’s display is our favorite! As of now, there is also a showing at 6:30 p.m.
American Gardens hosts a variety of performances throughout the night for ultimate entertainment. Magic Kingdom is the most popular park and will be the most crowded during New Year’s Eve at Disney World. If Magic Kingdom is your park of choice, we recommend you arrive early and stay all day since it is likely to reach capacity for some part of the day. Be sure to read our post about the parks' closing procedures! Save your viewing spot for parades and stage shows at least an hour in advance. No matter which park you are in during New Year's Eve at Disney World, make sure to use FastPass+! 2019 is sure to start with a bang — literally — thanks to Magic Kingdom’s Fantasy in the Sky Fireworks. Our whole Frog Squad loves how wild and colorful this fireworks extravaganza is. Seeing the sky above Cinderella Castle glow with this booming presentation is a truly magical way to celebrate a new year to come. As a huge fan of the fairytale magic and sentiment of the Magic Kingdom, this is my personal favorite festivity. Magic Kingdom will be showing Fantasy in the Sky Fireworks on Dec. 30 as well. On both nights, the show starts at 11:50 p.m. On both Dec. 30 and 31, Holiday Wishes is usually presented too, otherwise only viewable during Mickey’s Very Merry Christmas Party. This is one of the most beloved fireworks displays at Walt Disney World. 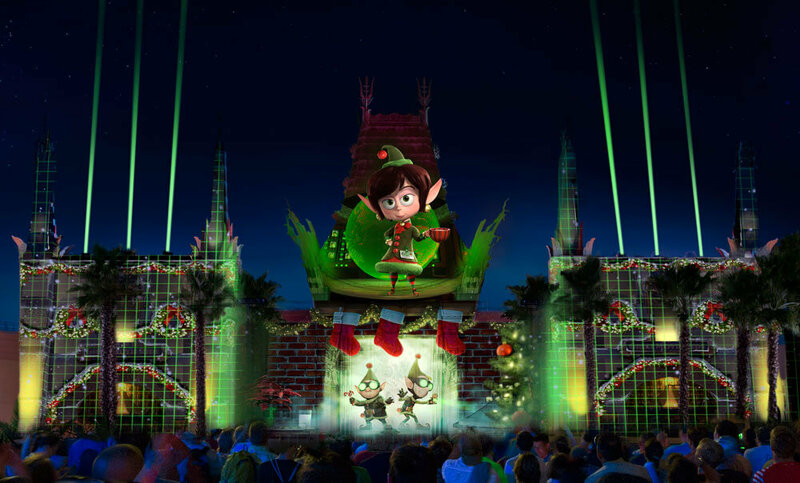 Fantasy in the Sky will also be shown at 6:30 p.m.
On both Dec. 30 and 31, Frontierland and Tomorrowland will be hosting DJs for tadpole-friendly dance parties from 7 p.m. to midnight. We have a feeling a few of our friends from the Briar Patch and the Country Bear Jamboree will make an appearance to do-si-do down South with you or blast off into 2019 with you in Tomorrowland. This is a memorable, fun way to have a blast with your family and celebrate an awesome year of fun. To those frogs out there who routinely visit during New Year's Eve at Disney World, be warned that Hollywood Studios has switched up its usual offerings. While it previously presented a special fireworks show with a live band, details have yet to be announced for this year's "midnight countdown to stunning fireworks spectacular." This information is teased on the Disney site's New Year's page, but regular nighttime spectaculars are currently scheduled. That being said, Hollywood Studios is a great place to ring in the New Year with more low-key celebrations, and in turn, likely less crowds. If you have little ones who won't be awake when the clock strikes midnight or you just aren't as into crowds and the festivities of New Year's Eve at Disney World, then this is the park for you! Disney's Animal Kingdom doesn't have any special events, and closes early compared to the others parks. 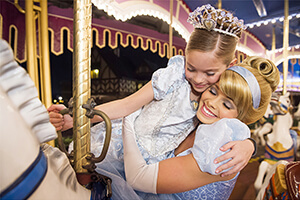 It won't be as crowded, so you can catch some Disney park fun and still make your bedtime. Full details on Disney Springs' New Year's Eve haven't been released. 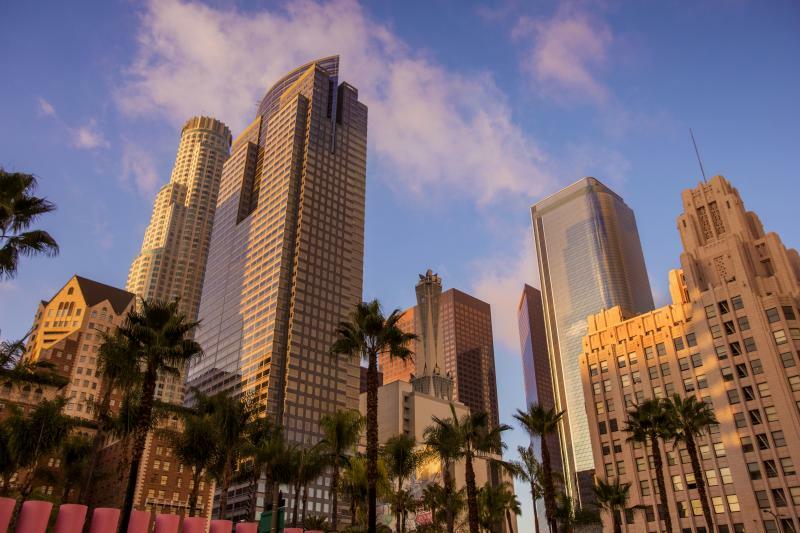 There won't be a fireworks show, but you can have some family-friendly fun dining and shopping. For guests 18 and up, Countdown to Midnight is a more formal affair taking place in the Fantasia Ballroom. The fun begins at 8 p.m. with a delightful culinary experience, boasting the best bites and wine pairings from Disney’s finest signature restaurants. An indulging assortment of alcoholic beverages is included in the $275 ticket price for guests 21 and over. An interactive DJ will have you moving and grooving to music spanning from the 1960’s to today. When you’re not busting a move on the dance floor or indulging in delicious goodies, you can pose in front of a fun assortment of backdrops. Mickey and Minnie are promised to make an appearance as well! The night closes with an amazing view of Magic Kingdom’s “Fantasy in the Sky” Fireworks Spectacular. Offered exclusively as a VIP enhancement to the Disney Countdown to Midnight party, the Ink and Paint Club Experience takes place in a vintage Disney Animation-style room located adjacent to the Fantasia Ballroom. The special reception begins at 7 p.m. and welcomes guests until 12:15 a.m. Chef stations feature sheep's milk ricotta gnocchi, cocktails, champagne, tuna tartare, king crab and more ... all included with the $450 admission (total for both the Disney Countdown to Midnight and the Ink & Paint Club). A pianist will provide live entertainment and guests of honor Mickey and Minnie Mouse will be present for photos with a gorgeous backdrop. Included with the Ink and Paint Club Experience is reserved seating at the Countdown to Midnight event, so you can come and go as you please. To 2019…and beyond! At $190 per guest (all ages welcome) in the Ballroom of the Americas, this party is certainly a family-friendly festivity. For the kids and kids at heart, enjoy a delicious buffet-style dinner with restaurant-style reserved seating while an interactive DJ spins Radio Disney hits from a Cars-inspired DJ rig straight out of Radiator Springs. Curious about the menu? There's something yummy for every palate, including Rex’s Manhattan Filet, Wall-E’s Pan Seared Mahi-Mahi, Sulley’s Beast White Cheddar Baked Mac & Cheese, Woody’s Favorite Lemon Thyme Chicken Breast, a build-your-own salad bar, desserts and kid-friendly favorites like chicken fingers and more. There will be photo-ops galore as theatrical backdrops, dramatic set pieces and special props immerse you in the world of your favorite Disney Pixar films. You even get to interact with your favorite toys, monsters, superheroes and adventurers. A vignette-filled room will transport you to Andy’s Room of Toy Story fame, The Incredibles’ Metro City and through a fascinating Up-inspired adventure. The night starts at 8 p.m. comes to a close as you head to Porte Cochere for a viewing of Magic Kingdom’s Fantasy in the Sky fireworks. We highly recommend this event to celebrate 2019 if you have your tadpoles in tow and want to do something special while avoiding the crowds of the parks. With a limited number of guests, this is our pick for a fun, tadpole friendly celebration that won’t overwhelm you. The over 21 crowd can boogie down from 8 p.m. to 2 a.m. at this night club. There will be a live video DJ, party hats, assorted light bites, two drink vouchers and a champagne host at midnight! The price is $75 per person (not including tax or tips), and reservations are recommended. This steaks and seafood restaurant is offering a multi-course, prix fixe menu inspired by Chef Tim Majoras with two seatings: 5 p.m. to 6:30 p.m. and 8:30 p.m. to 10 p.m. The second seating includes a sustainable seafood tower and intermezzo. Reservations are required. Call 407-9393-3463. While the usual cancellation policy requires a 24-hour notice at Walt Disney World restaurants, many of these special occasion meals require cancellation more than 48 hours in advance. Be sure to read the fine print and be sure of your plans. If you’re set on a certain experience in particular, call 407-939-3463 as soon as you’re able to purchase your tickets or book your dining reservations. Advance dining reservations are required for all special holiday meals. If you’re attending the fireworks at either Epcot or Magic Kingdom, be sure to bring ear plugs for little ones, or maybe even yourself. (Heck, sunglasses might not hurt either.) These shows are beautiful but can be intense. With both Magic Kingdom offerings being presented on both the last two days of the year, we recommend knocking these celebrations out Dec. 30 for lesser crowds or to free up your official New Year’s Eve night for other activities. Epcot, anyone? Note that at the parks, regular admission is required to access these special events — even if you have a dining reservation. Annual Passholder and Tables in Wonderland discounts will not be honored for special holiday meals. Disney Dining Plans are accepted at many of the dining locations (NOT parties), but two table-service meals are required per person at most locations. Allot plenty of extra time for transportation, as parks are extra, extra busy on this day. Most of you know the drill of getting your spots for fireworks early on a typical night, but be sure to post up extra early for the New Year’s spectaculars. Not only will there be more people for the special shows, but there are extremely high-volume crowds to begin with. As attraction lines will be tremendously long during this peak season, we find waiting on a prime fireworks spot to be the most effective use of time. Of course, we always recommend having a family member grab snacks and drinks to enjoy during the wait! Animal Kingdom is the only park without scheduled New Year’s celebrations. 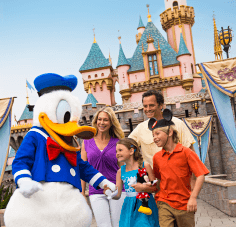 If you don’t care to do anything out of the ordinary and just want to enjoy your Disney vacation, this is a great destination to enjoy lower-volume crowds and a fun night. The park will be open until 9 p.m. There are so many hoppin’ activities to choose from to leap into 2019 at Walt Disney World. When we’re at Disney World for a holiday, we really like to take advantage and celebrate in a special, unique way. What do you have planned? Tell us in the comments. Did Magic Kingdom close due to capacity on Dec 30 this year? We will be going there from a cruise ship on Dec 30 next year but don't dock in Port Canaveral until 1 pm. I know it will be busy, but as long as we can get in, we will be golden! Magic Kingdom had a reported capacity closure Dec. 31. It is certainly possible it could reach capacity on Dec. 30, as these are some of the very busiest dates of the year, but keep in mind that most of the time, these closures are only temporary until more guests leave the park and usually reopen within a few hours. Hi we will be attending new years at magic kingdom.. really excited.. any word of seeing famous singers preforming? We haven't heard anything yet, but who knows? It should be a blast no matter what! I noticed that Hollywood Studios has changed their hours to 12AM. Have you ever seen their new years eve fireworks? Im blocked out of MK and Epcot that day. Would love to ring the new year in at Disney if Hollywood Studios is worth it. Also have you ever heard of Hollywood Studios reaching capacity on new years? I have to work during the day and wanted to head over there after. It looks like Disney will be showing Star Wars: A Galactic Spectacular at midnight, and there is no word if it will be a special performance for New Year's Eve. We have not heard of it typically reaching capacity, and especially with its NYE celebration not being released, we would not expect it for the evening. We’ll be in Epcot all day on NYE. We have dinner reservations at Animal Kingdom. After dinner would we be able to get back into Epcot for the fireworks? I used to work at Disney, and Epcot has not close due to capacity in the last years. I believe you will be completely fine going to dinner and coming back, the only thing is don't expect to have great spots when you go back into Epcot due to the fact that it will be very crowded! This sounds like a GREAT plan (seriously!) but we WOULD recommend being at Magic Kingdom fairly early on the 30th. The parks have been known to get pretty crazy that day too. Hi ???? 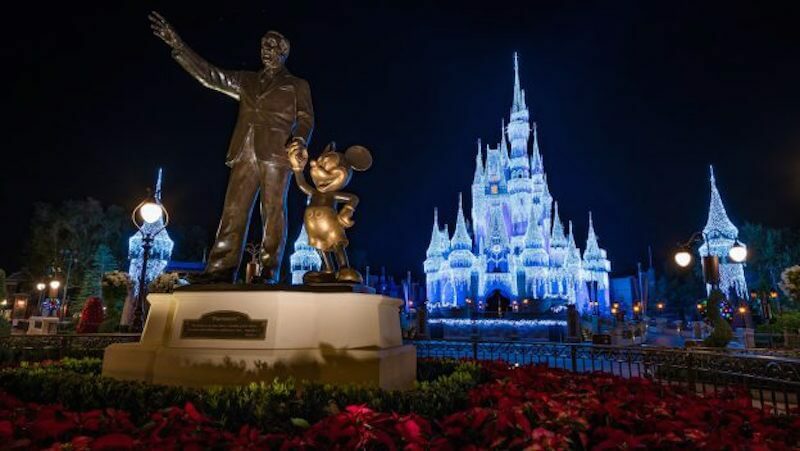 is the Disney Vacation Club, New Year’s Eve Eve party worth attending? Since it’s the same fireworks on December 30 and December 31 at magic kingdom we were planning on going to that party on December 30. On December 31, we plan to go to Epcot to enjoy the fireworks at Rose and Pub. We haven't attended, but we welcome our frog friends to chime in and offer their expertise. Which Disney World Park has best events on New Year Day (1/1/19)? Planning on visiting Hollywood Studios for New Years. Looking for reviews. Do the park really close at 9pm? Really hoping to ring in the new year there at midnight. Disney's website shows 9 p.m. as the closing time for December 31, and we haven't heard anything beyond that. We recommend planning to celebrate at either Magic Kingdom or Epcot! Disney.com shows Hollywood Studios open til midnight on Dec. 31, although I still don't see specific info about fireworks. Yes. Disney has not yet updated it's site with details about NYE-specific fireworks, but it will be showing Star Wars: A Galactic Spectacular at midnight on Dec. 31. Great question. We would recommend calling the Disney reservation line at (407) 939-3463 to find out when these become available. There's a good chance this special event reservation will only be available via phone. When I look online Hollywood Studios seems to be closing at 9:00? Is it staying open later and where on the actual Disney website can I find out more about this celebration? Great point. The activities featured in this article are what were on the agenda last year and what we expect to return again. We'll keep you posted with updates! Wondering if there’s an update on Hollywood Studios for New Year’s Eve? Disney's park hours show Hollywood Studios closing at 9 p.m. on December 31, so we recommend hopping on over to Epcot or Magic Kingdom to celebrate! To purchase tickets, call (407) WDW-DINE. I am planning on going to Epcot with my friends for the NYE, is it true that we can’t leave the park and come back later for the NYE without making a reservation at a restaurant there?! Hmmm ... we haven't heard of this policy before. (We welcome the Frog Pond to chime in!) What you might have heard is that the park can reach capacity, and perhaps at this point you are only allowed back in if you have a dining reservation. Hi! What would be a great choice of Disney hotel to stay at the wouldn't kill a budget? (Avoiding such resorts like Contemporary, Polynesian, and Grand Floridian). Transportation is a must but I would want to stay somewhere where the lines wont be too insane! Thanks in advance! 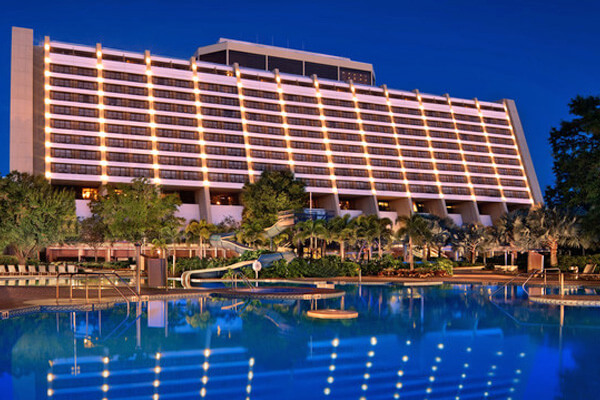 You should check out the Disney Value Resort Hotels! 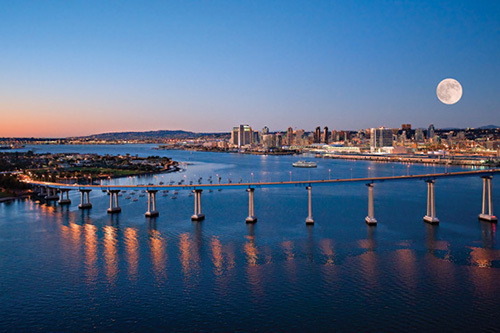 These hotels are still on-site and provide many of the awesome amenities you're looking for. Hop over to our post and see which ones we recommend! So, which park would be the best to go to on New Year's Eve if you just want to visit the park and not do a New Year's celebration? I don't think my 3 year old can hang. Animal Kingdom is definitely your best bet. There are minimal festivities, so it tends to be the least popular park to visit on New Year's Eve ... but still just as fun! Hello, is there two fireworks shows for New Years at MK or is it only the midnight show? In the past, Holiday Wishes was also shown on Dec. 30 and New Years Eve sometime before Fantasy in the Sky Fireworks (which usually starts at 11:50 p.m.)! Sorry for the late response. You probably figured out by now that the Fantasy in the Sky fireworks are shown both on December 30 and 31 at Magic Kingdom Park! Hi! We’re arriving in the evening and I don’t want to use up our park admission passes to see the NYE shows, and we’re staying off-park for just that night. We were actually thinking of just finding a good place to park to watch fireworks from afar, then go back to our hotel. I was wondering if you knew of a place to do that. Thanks in advance for any ideas you have. Disney's Contemporary Resort, Disney's Grand Floridian Resort & Spa and Disney's Polynesian Village all are great spots to view the Magic Kingdom fireworks. You can view the Epcot fireworks from Disney's BoardWalk. Yes, you can see the Epcot fireworks from Disney's BoardWalk! Where is the boardwalk? Is thet the same as the Disney Springs? Will parking be limited? Disney's BoardWalk Area is adjacent to Disney's BoardWalk Inn and Villas. The area is located near Epcot. Disney Springs is a different entertainment area. 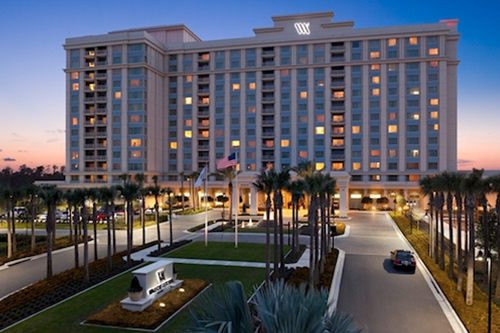 You can find parking at Disney's BoardWalk Inn and Villas. no . read article above. We are not aware of any holiday exclusive festivities taking place at Animal Kingdom on New Year's Eve. However, this is a great park to visit for lower crowds and its great variety of daily entertainment. very informative! just left with a doubt; do you have to pay for an extra pass for NYE at any park, or simply stay after hours for this event with your regular park pass? THANKS! You regular park pass is all you need to enjoy everything happening inside the park on New Year's Eve, excluding any dining that you do. Events outside the parks have their own admissions which require additional tickets. Do you know about what time of the year they start selling the New Years Eve tickets for City Walk? Nov? They usually go on sale late November/Early December. We're going to see fireworks, but we don't want to go any theme park, have any good spot to watch the fireworks? My boyfriend is off at 11pm on 12/31 in Winter Park, if we're going to Universal City walk ,do we have to buy tickets? There will be a ticketed event at Universal City Walk New Year's Eve. You may still visit CityWalk for dining and shopping, but the event really takes up most of the space that night. We don't have any outside of the theme park viewing tips. Perhaps some of our readers would be "hoppy" to share? How to get best price on SeaWorldnew year's Eve tickets? We're the #1 supplier of online discount Orlando attraction tickets, and we have Sea World tickets ! There is no special New Year's ticket. The regular ticket will get you in. What will crowds at Universal be like? Will they reach capacity and if so do you know when each park usually does? The parks will both be crowded. Closing due to capacity has many factors. We suggest arriving early—before the gates open—and staying in that park though closing. i am brazilian and i have 2 kids. i dindt find restaurante or place to stay in during the celebration. Epcot has more space and more restaurants, including quick-service, that don't need reservations, so overall I think you will have a better experience at Epcot than Magic Kingdom on this day. Hi I was looking for some insight...I'm going with a 3 year old and 2 year old and am not sure how to be a part of the NYE festivities. 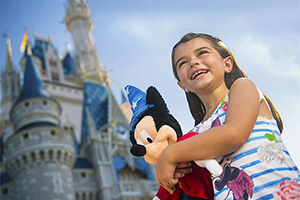 Is it better to make a dining reservation in Eocot or Magic Kingdom? (I found one in both) or try to find somewhere outside the parks nearby? Thank you in advance! I've never been so I need all the help I can get! This really depends on you, how many days you have etc. Epcot has more space and more dining options, and is overall a better choice for this very busy day, but that is overall up to you. If you can get a reservation, that is great! Can our family (with 2 boys aged 12 & 9) visit citywalk or downtown Disney on NYE ? If not where should we go to see fireworks, etc? CityWalk typically has an age limit after a certain time on New Year's Eve. Downtown Disney (now called Disney Springs) will likely offer some countdown activities, but if you want to see the fireworks, hop over to the Magic Kingdom area. Some of our favorite spots to watch them outside of the park are California Grill at Disney's Contemporary Resort, Disney's Polynesian Resort, Disney's Grand Floridian Resort & Spa, and Ticket and Transportation Center. Can you see fireworks while having dinner at Portebella's in disney springs? I booked a trip to Orlando from Dec. 29th to January 5th. After reading reports online, it appears that Disney World is crowded and that is putting it mildly. Is it really that crazy? My wife and daughter are not ones that can handle crowds that well. Would it make sense to visit the parks later in the week such as on January 3rd to 5th. I am also thinking of extending our time and possibly hitting the parks later (up to January 8th). Will the crowds somewhat diminish after New Years? We always go, it is busy, but to us not bad. still a great family time. All of those dates will be busy, especially since the Walt Disney World Marathon was moved up a bit this year to Jan. 5-8. Do you happen to know if Legoland will still have their Christmas tree and Santa's Sleigh out for New Year's Eve? If you are not in the park by a certain time I have heard that they close entrance due to large crowds at this time of year (New Years Eve) even Epcot. Is this true? Is EPCOT really the place to be on NYE? if so, why? Also, is park hopping recommended on that day? Well, Epcot should be the place because, there is more cultures instead of lines of waiting for rides. Btw Magic Kingdom closed early of capacity to! So they recommend the hopper because some would leave Magic Kingdom early, so then you could hop to Magic Kingdom from what ever park you were at! Either you stay at a Disney resort to go to Magic Kingdom during closed of capacity or wait for others to leave and hop to the park! New Years Eve at Epcot is the best. Each country has dance music entertainment and fun. Fireworks from several countries too. Epcot is a good place to be on New Year's Eve because it is such a large park that it can better handle the crowds. Plus, there is plenty of food and drink options, and a beautiful fireworks finale to cap off the year. Park hopping is not recommended on this day. Thanks for the good tips. One correction: LEGOLAND is in Winter Haven, not Winter Park.